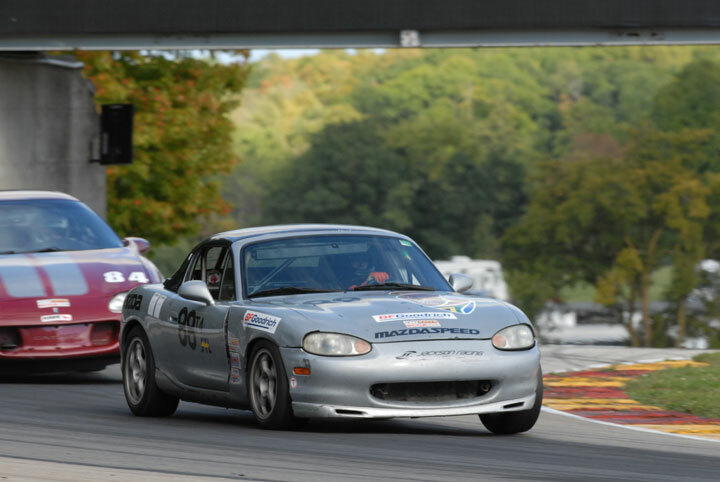 The Solo CrossXover Program is designed to provide a clear and easy path for Solo Racers to get their SCCA Competition License and become Club Racers. Although the program was designed for current Solo racing competitors, it’s open to all current and prospective Kansas City Region SCCA members. For 2014, we intend to attract six to ten drivers, guide them through Race School and help them obtain their SCCA Novice Competition License. The first lessons will be in the participant’s own car followed by more advanced lessons in a race car. The school will be conducted by experienced SCCA racers providing guidance and instruction both from trackside and in follow-along vehicles. All sessions will be recorded in the participant’s SCCA logbook and will be followed by a critique by the instructors. The location of the Racing School will be at either Heartland Park Topeka or the Mid America Motorplex. The school is a step along the way of obtaining an SCCA Novice Competition License. Prior to attending the Race School, participants will need to compete and submit the Novice Permit Form, submit the results of a physical examination from your doctor, provide two passport-sized photos, a copy of your driver’s license, and the Novice Permit Fee. In addition to the various paperwork, participants will also need to gear up. Club Racing requires more safety gear than does Solo Racing. Novice drivers will need a driving suit, gloves, and shoes, an SA2010 helmet, and an HANS device. Once the Racing School has been completed, there will be various classroom sessions as well as a minimum of three race weekends as a Novice racer. The race weekends must be completed within two years of being granted a Novice Competition License. Upon successful completion of the classroom sessions and satisfactory performance during the three race weekends, the Chief Steward will sign Novice Permit in preparation for submission to SCCA Member Services for a full Competition License. Individual Ownership – you buy the car, and drive it yourself during training and Novices Races. Shared Ownership – two or three drivers buy the car, and share the driving during training and the Novice Races. Rental – Club Race Investment Group buys cars and rents them to the Novice Drivers. To help members new to Club Racing, the Kansas City Region will form a Club Race Investment Group (CRIG). This group will be composed of Club Racers willing invest their time and money in the future of our Kansas City Club Racing Program. CRIG will buy, store, maintain, and transport to the track a stable of race cars. Novice drivers will pay a Novice Session Fee to drive the race cars during their training and the three required race weekends. Novice Session Fees are yet to be determined, but estimated to be $500 to $750 per day, per driver. Download our Solo CrossXover Program presentation which has all the above information as well more detail about the costs and requirements, and information about the racing venues. Tagged Club Racing, CrossXover, solo. Bookmark the permalink.